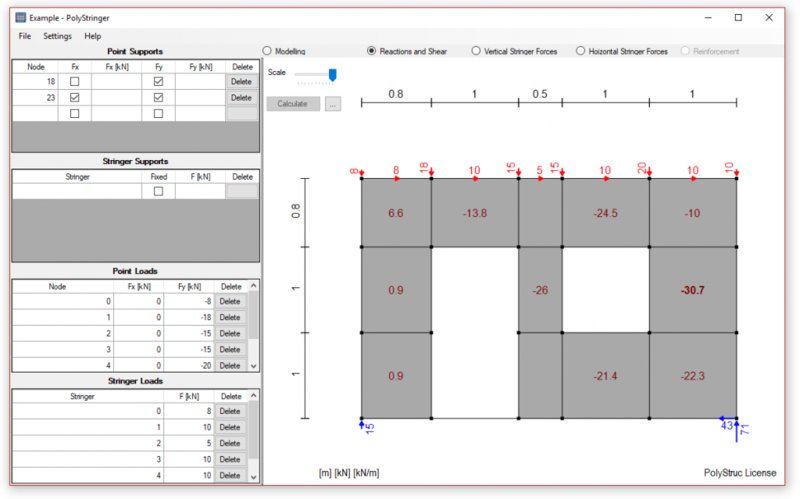 PolyStruc - Simple Structural Software that makes Engineering Easy! PolyStruc develops- and sells user-friendly software designed to help engineers solve structural problems worldwide. Determine sectional forces and design statically indeterminate beams with high precision using PolyBeam. "I have started working with PolyBeam, and found it to be one of the most user friendly tools I have come across." "I've been testing out your software for a few weeks now, and I'm loving the simplicity!" "Super easy and straightforward stringer program!" 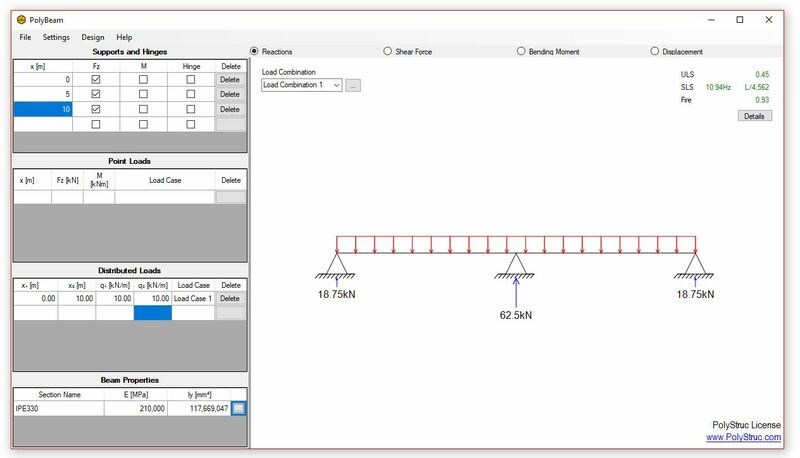 A simple and easy to use beam calculator, that determines sectional forces, designs steel- and timber sections with respect to ULS, SLS, fire and natural frequency. Based on more than 30 years of experience with reinforced concrete. Use the stringer model to design shear walls and diaphragms by the optimal plastic solution. Our main objective is to keep our software so simple, that it can be used by everyone without prior experience. All the software is designed to use the most precise physical models available to maximize material utilization, while providing simplicity for the user. We take pride in documenting your work with simple and great looking PDF reports, just push the button and the program takes care of the rest. All our software is highly specialized for doing just one thing. This makes it very effective, simple and easy to use. If you have any questions, suggestions or anything don't hesitate to contact us, we love to talk with and help our collaborators. We provide short and simple videos to help our clients optimize their use of the software. This way its simple and easy to get to know all the features of the software. Click the button below to contact us, and find out more.